The event is free and open to the public. To register to attend please, click here. Rafael Rojas, Professor, Centro de Investigación y Docencia Económicas. 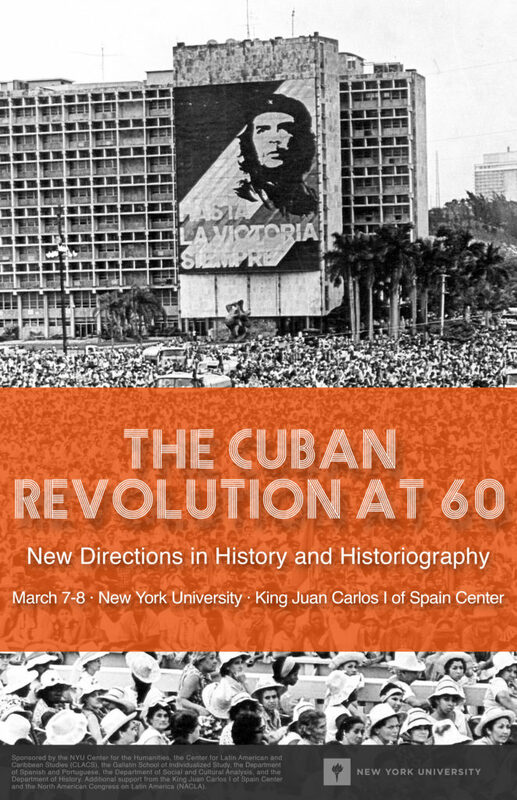 The Cuban Revolution at 60: New Directions in History and Historiography is an international conference to be held at New York University on March 7-8 2019 that will bring together scholars of the United States, Latin America, and the Caribbean to revisit existing narratives on Cuba’s revolution, highlight avenues opened up by recent work, and promote broader discussions about the methodological and theoretical possibilities made possible by the fading of Cold War polarizations. The conference is generously funded by the NYU Center for the Humanities, the NYU Center for Latin American and Caribbean Studies, the NYU Gallatin School of Individualized Study, and has received additional support from the King Juan Carlos I of Spain Center, the North American Congress on Latin America (NACLA), the NYU Department of Spanish and Portuguese, the NYU Department of Social and Cultural Analysis, the NYU Department of History, and the NYU Graduate Student History Association.